Data collection from different data sources (XLS, CSV, MySQL, PDF, XML WEB, GOOGLE, SOCIAL MEDIA), cleaning & ETL (Edit, Transform and Load into a Data Lake) to make it available for analytical processing and modeling. The data will reside in either private, public or hybrid cloud. This service includes interviews with business SMEs (Subject Matter Experts) in order to identify data sources. Modeling, reporting, business-oriented dashboard definition. Model creation, validation, and maintenance. This service employs our experienced data scientist focused on the client business creating the most appropriate models. Clustering or segmentation. Anomaly (or outlier) detection. Association-rule mining. Predictions. 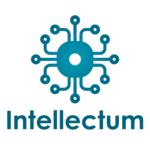 Intellectum® framework for data related business processes, regular analysis, strategies, decision making, and future actions. The most valuable service providing regular insights into the business, allowing for Data Science lead decision making. This service is based on volume, the frequency of reports, TB of data managed, and the number of clients receiving the reports.